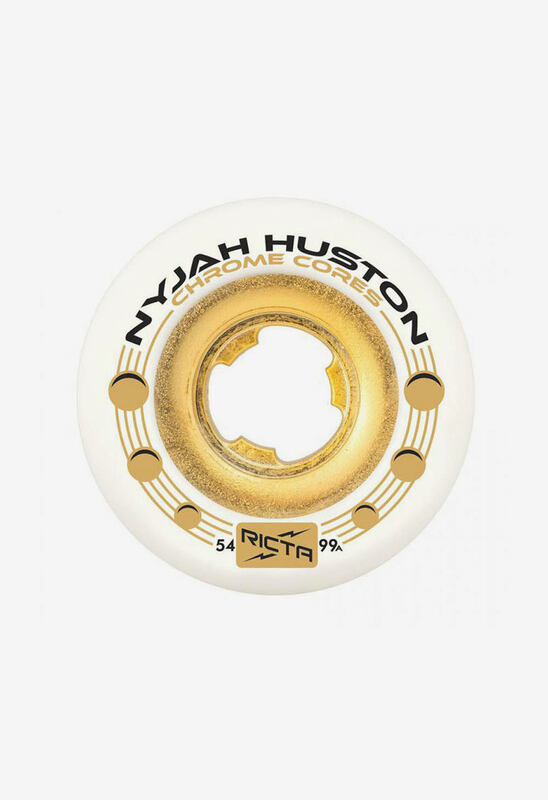 Nyjah Huston’s custom-made, 54mm Chrome Core pro model wheel by Ricta. Nyjah’s pro wheel comes with a gold plastic core and Ricta’s pro-proven formula. The fastest and most durable urethane in skateboarding. These wheels perform excellently in the park or in the streets. Ricta Wheels, speed reinvented.